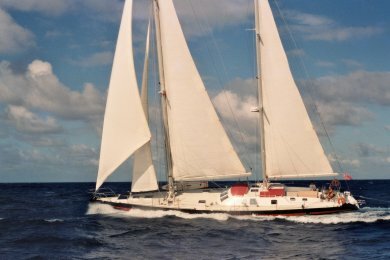 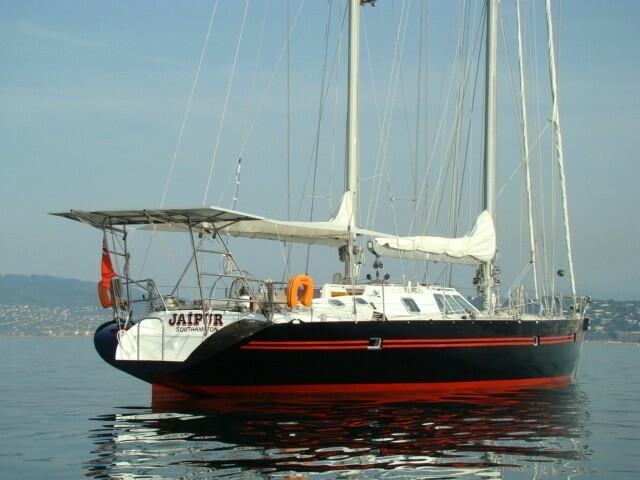 Sailing yacht JAIPUR is a 21.00m (68' 10") charter yacht with naval architecture by Philippe HARLE built by ALU MARINE in 1991. 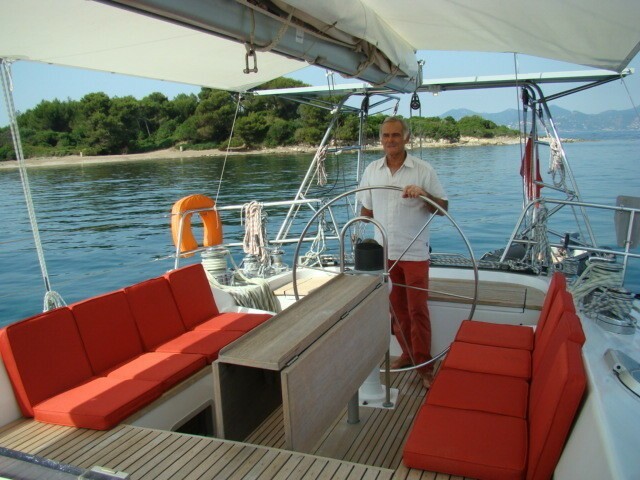 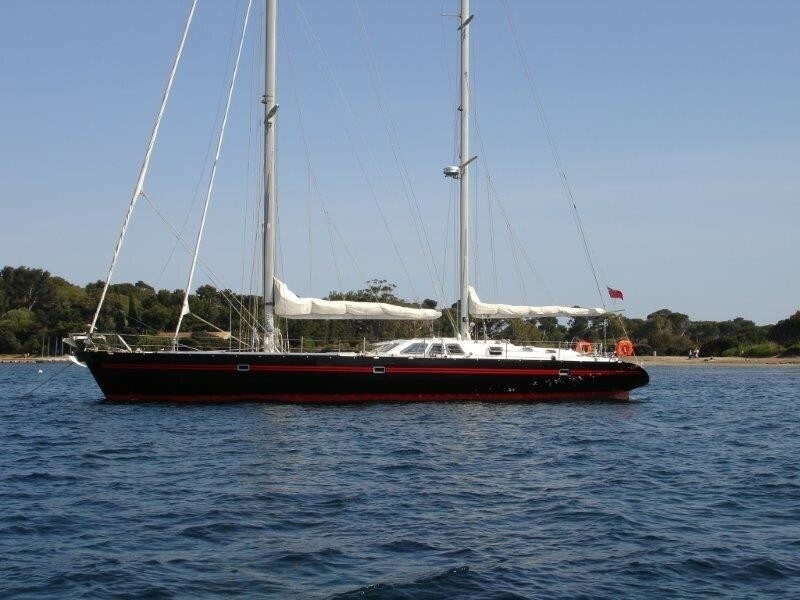 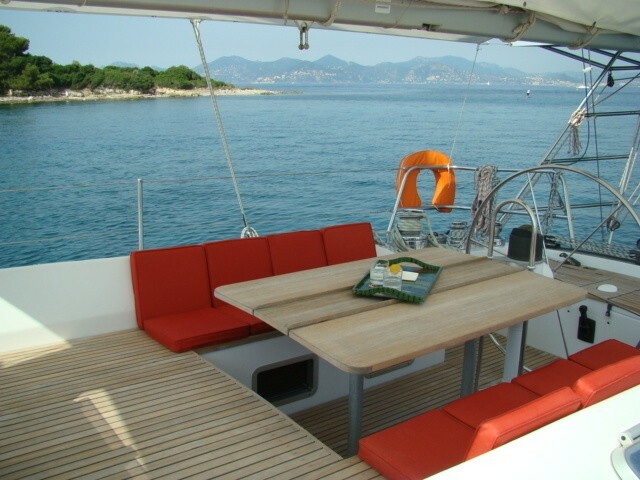 She is able to accommodate up to 7 guests and is based in the Western Mediterranean. 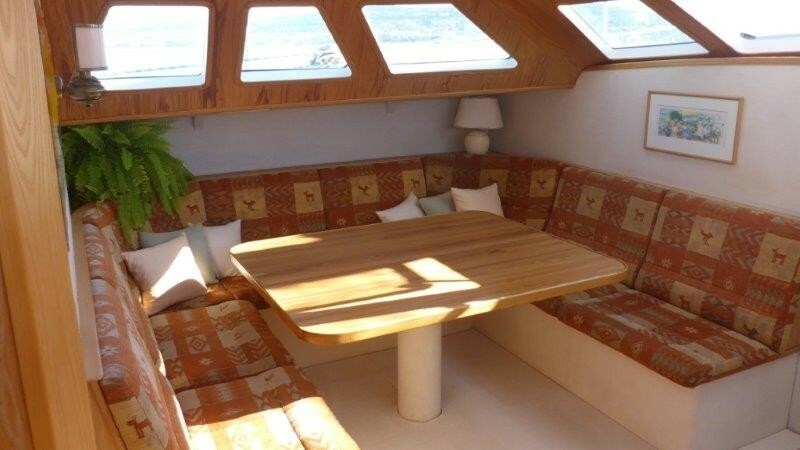 Sail yacht JAIPUR has a light interior that is luminous and comfortable. 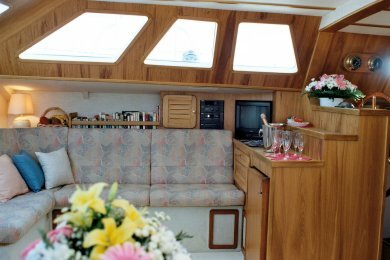 Her main salon has a dining area to port and a lounge to starboard and a wetbar with refrigerator. 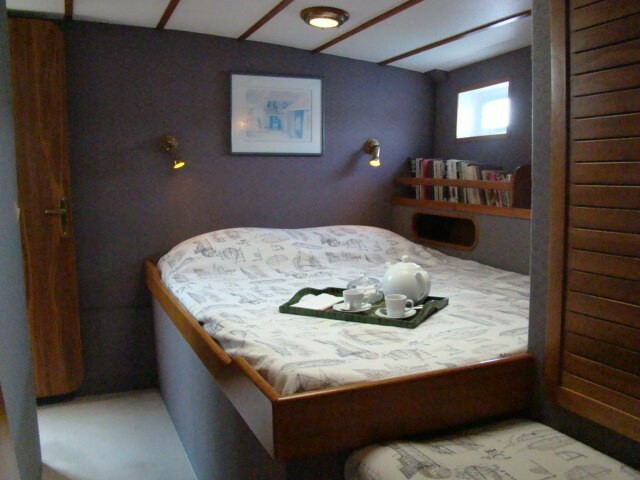 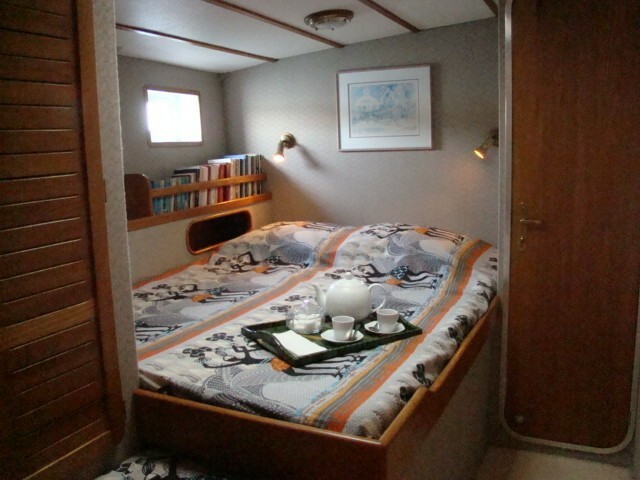 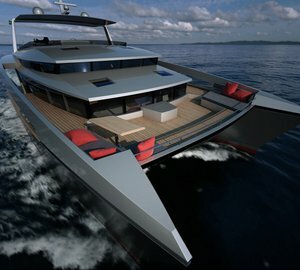 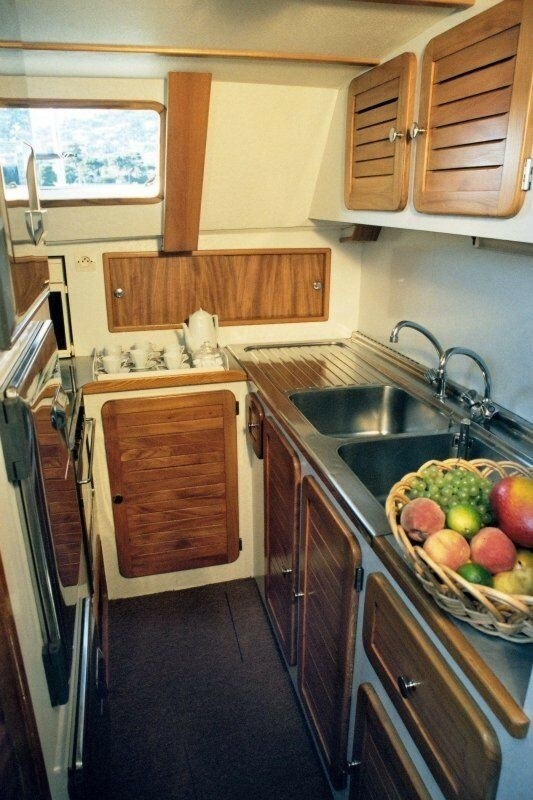 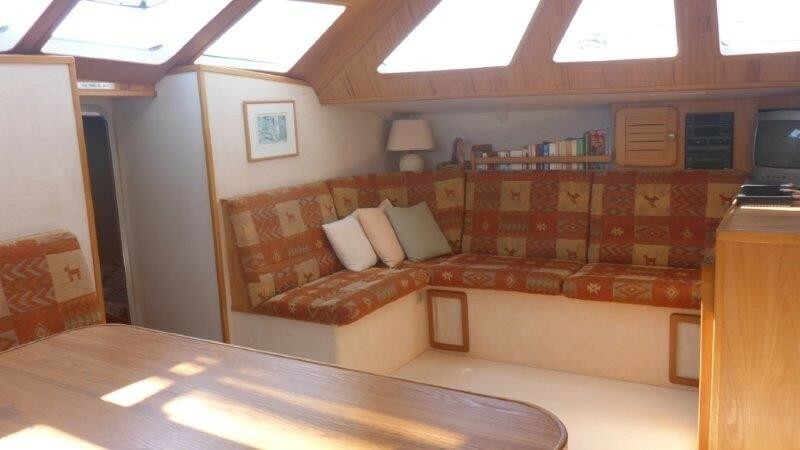 The large U-shaped and well equipped galley is located port aft of main saloon. 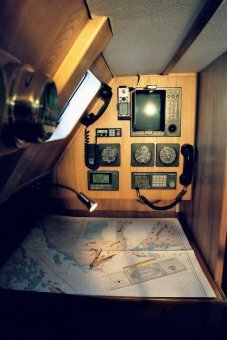 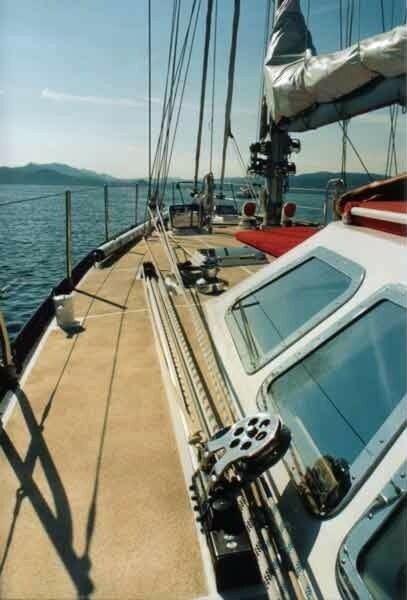 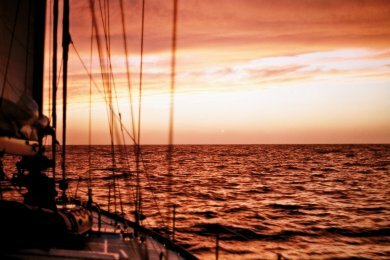 There is a Navigation station to starboard with wet locker at bottom of companionway and lower helm station. 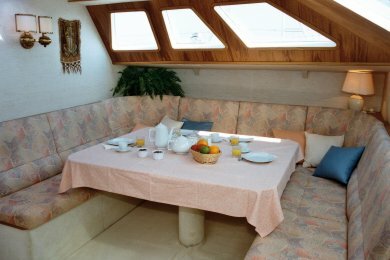 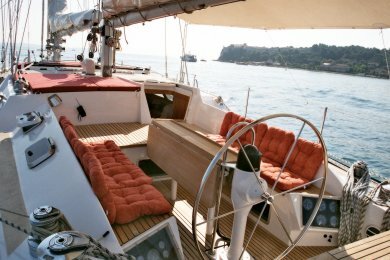 The JAIPUR sailing yacht is able to accommodate up to 7 guests in 3 cabins. 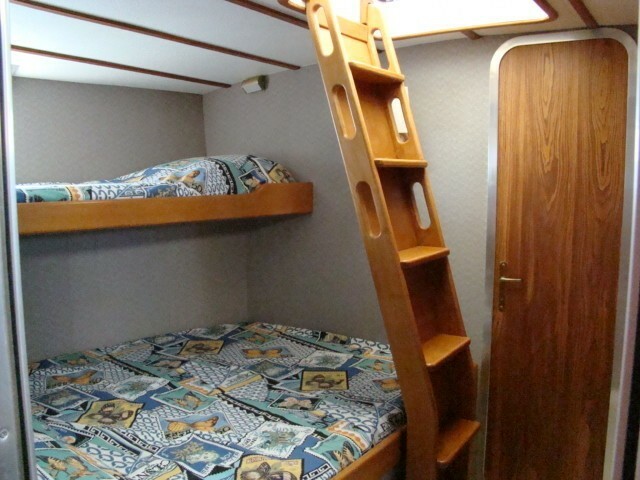 The cabins are located on the lower deck and include a full beam owner’s stateroom located forward with a double king size berth plus single upper berth, generous locker space and a private head and shower. 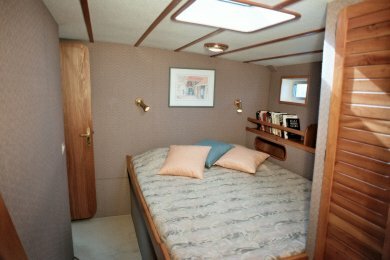 Aft of this cabin are two guest staterooms each with a double king size berth, also with generous locker space and their own head and shower. 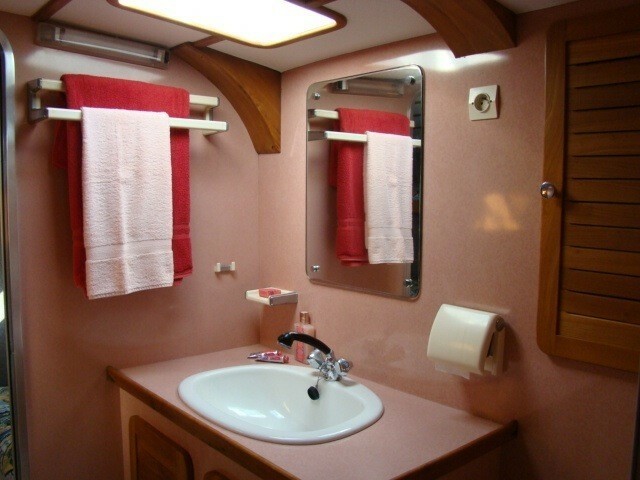 There are separate crew quarters in two cabins aft with their own shower facilities. 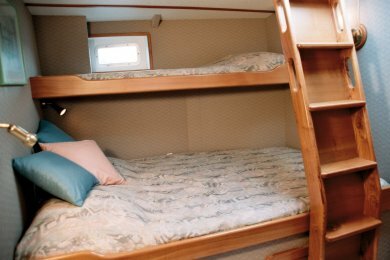 S/Y JAIPUR can sleep up to 7 guests in 3 cabins located on the lower deck including a full beam owner’s stateroom with a double king size berth plus single upper berth, generous locker space and a private head and shower. 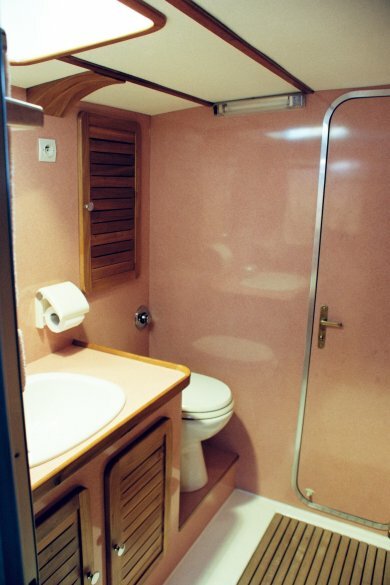 Aft of this cabin are two guest staterooms each with a double king size berth, also with generous locker space and their own head and shower. 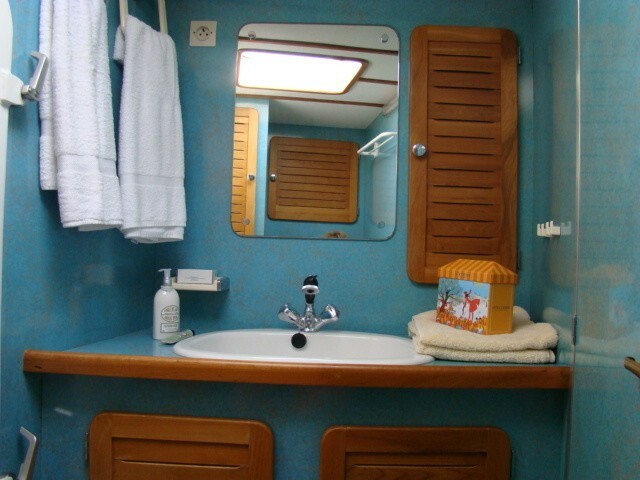 There are separate crew quarters in two cabins aft with their own shower facilities. 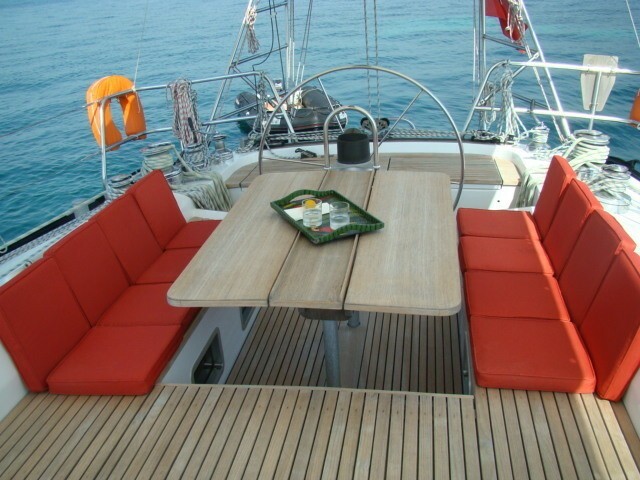 Please contact CharterWorld for a list of extras and amenities found onboard the Alu Marine sailing yacht JAIPUR.